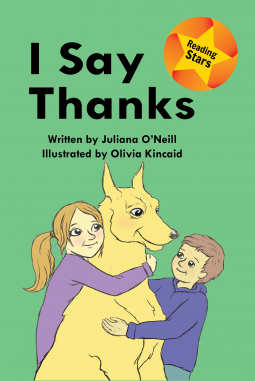 I Say Thanks by Julia O’Neill – Joyce's mystery and fiction book reviews with some non-fiction too! This is another entry in an early literacy series by xist publishing. With rhyming text, and illustrations on every page, this book should appeal to beginning readers. Young learners will see that there are so many things to be thankful for! There are meals, friends and family, just to name a few. While practicing their skills, students will be able to think about the many things to be grateful for in their world.